You’ve spent all the time necessary to make the inside of your home a splendid place to be, and now it’s time to turn your attention to your backyard. While life inside your home is all well and good, your outdoor living spaces – your backyard in particular – are the places where you’ll form some of the strongest memories you have with you and your family. 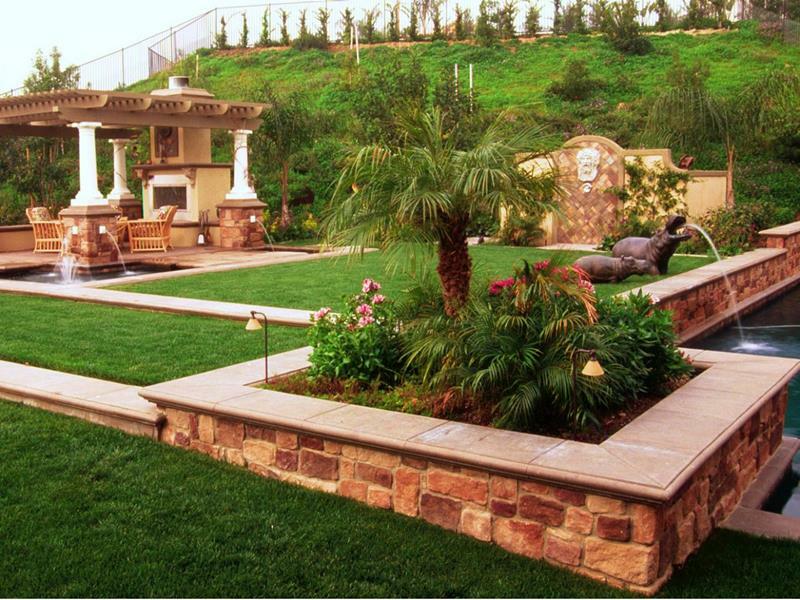 In order for your backyard to become the memory-making oasis for your home that it should be, though, you’ll want to make sure it’s designed properly. Now, this will, of course, depend largely upon how you intend to use your backyard. For some, a backyard should be a place with a splendid garden with blooming bushes and heirloom tomato plants. For others, it may be a place with a lovely swimming pool surrounded by a patio and verdant wildlife. 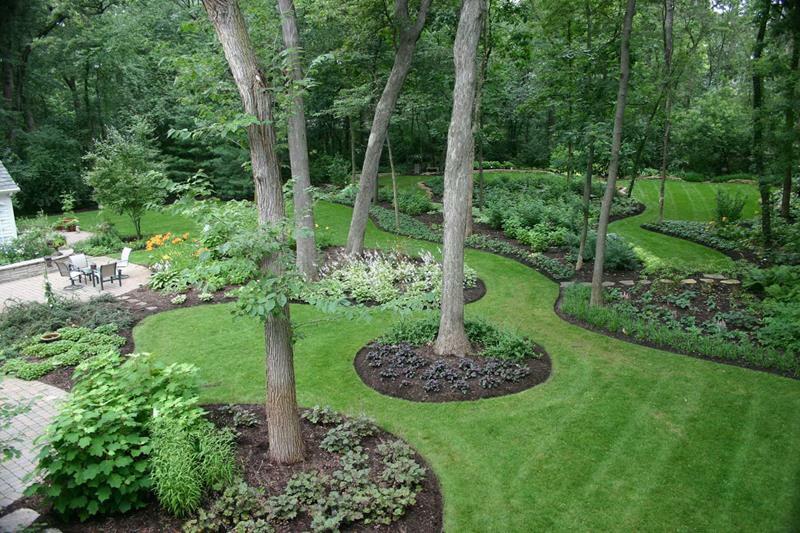 Whatever extreme you prefer – or whether you prefer something in the middle – you’re sure to find an inspirational backyard landscaping design on this list. So check these backyards out, and see if you can’t come up with something for your home that will serve as a constant source of joy for you, your family and your friends! Even if you have a small backyard, you can make a remote refuge by creating a separate seating area like you see in the foreground. 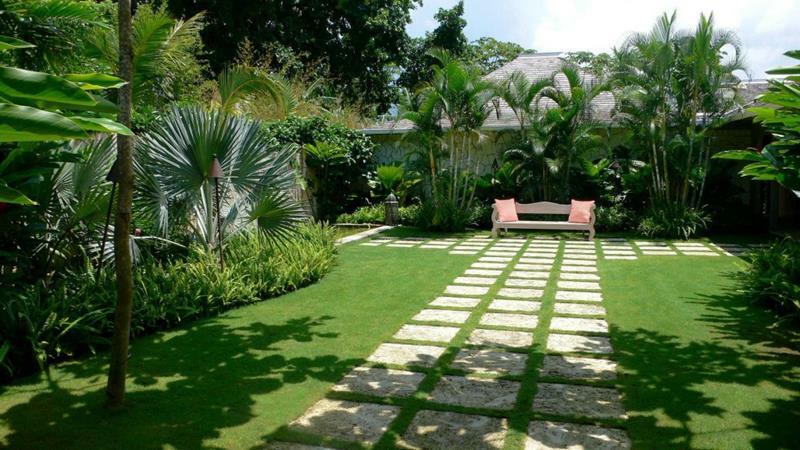 The visual effect of these square stones laid into the ground cannot be ignored. It’s quite attractive! 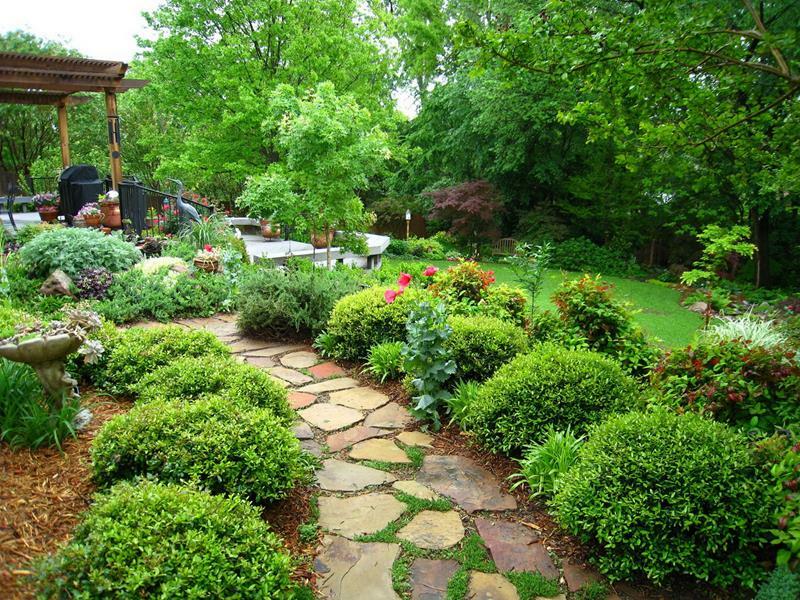 If you’re going to keep beautiful plants in your backyard, be sure to have a nice walkway to enjoy them from. 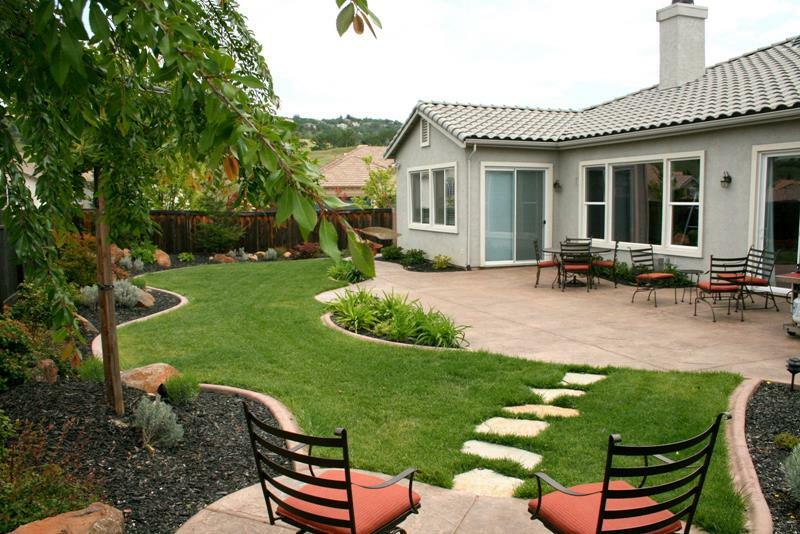 The way that the lawns have been broken up by planted areas in this backyard has a charming and soothing effect.